Brown Brothers is one of Australia’s leading family-owned wineries, located in the King Valley in North Eastern Victoria. The Brown family have been making wine for over 127 years and whilst tradition remains important, they are not a traditional wine company. Steeped in heritage, they have a history of innovation that inspires their future. 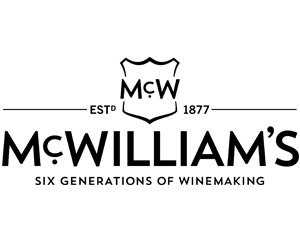 Proud to have forged a reputation, locally and abroad, as varietal wine specialists and winemaking innovators, Brown Brothers grows over 50 different varietals and makes many styles of wine. Their small-scale innovation winery, ‘The Kindergarten’, allows the winemaking team to create new styles of wine and continuously push the boundaries with new winemaking practices. 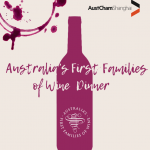 As a founding member of Australia’s First Families of Wine, the third and fourth generations of the family keep the Brown tradition alive with members of both generations working within the business. 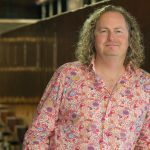 Over the years there have been many changes in Australian Wine business, yet the cornerstones of Brown Brothers remain constant; a family business still hand-crafting quality wine. Campbells Winery is situated in the historic Rutherglen wine region of North East Victoria, Australia. 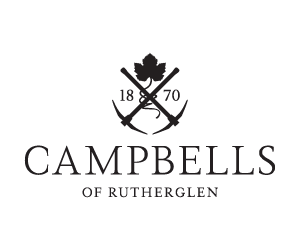 With 145 years of winemaking experience, the Campbell family has a reputation as a benchmark Rutherglen winery, specialising in a world class fortified portfolio. Today, fourth generation winemaker Colin Campbell and his brother, viticulturist Malcolm Campbell, are the custodians of the family tradition, along with the fifth generation, Colin’s daughters, who are now adding their ideas and skills. Jane looks after the Campbells brand and Cellar Door; Susie is the Marketing and Sales Manager and Julie is the winemaker. Colin and Malcolm Campbell’s winemaking philosophy is to capture the full flavour of Rutherglen by making wines of complexity and elegance. Every bottle of Campbells wine is testament to generations of experience, dedication and innovation. Campbells are renowned for their table wines: crisp, aromatic whites and flavoursome, robust reds, including the legendary Bobbie Burns Shiraz and The Barkly Durif. Their Topaques and Muscats are world renowned and speak of their uniquely Australian sense of place. 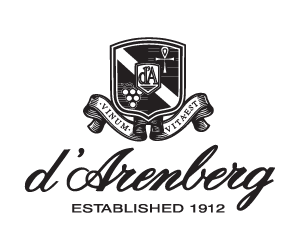 Established in 1912, d’Arenberg began when Joseph Osborn, a teetotaler and racehorse owner, sold his stable of horses to purchase property in McLaren Vale, South Australia. Since then, each generation of the Osborn family has passed on knowledge and understanding of their land to the next generations as custodians of their precious soil. Today fourth generation family member Chester makes distinctive wines using traditional methods both in the vineyard and the winery. The personality of each vineyard is encouraged to flourish with minimal intervention: no fertiliser, minimal or no irrigation, no soil cultivation and no herbicide. Through time honoured techniques such as open fermentation, foot treading and basket pressing, this personality shines and gives d’Arenberg its distinctive McLaren Vale style. 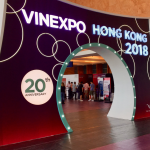 Known for an eclectic portfolio of oddly named wines and a bold red stripe that adorns each bottle, the range is considerable with over 70 wines in the range made from over 25 grape varieties with styles that include whites, reds, fortified, sparkling and dessert wines. The Henschke family has been making wine since Johann Christian Henschke planted his first vineyard in South Australia’s Eden Valley in the early 1860s. Today, fifth-generation winemaker Stephen Henschke and his viticulturist wife Prue are recognised around the world for their exceptional quality wines, innovation and sustainability practices in their vineyards. In recent years they have welcomed next-generation family members, Johann and Justine, to the family business. Together they continue to craft their white wines with a focus on purity, and their red wines with a strong sense of place, leading the way with innovative organic and biodynamic practices complemented by traditional winemaking. 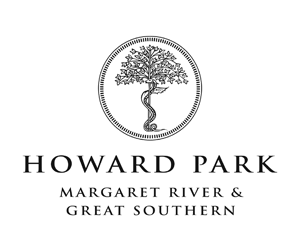 Howard Park is one of Western Australia’s pioneering family-owned wineries, with vineyards in the premier grape-growing regions of Margaret River & the Great Southern. Encompassing a 30-year history and overseen by two generations of the Burch family, Howard Park is a multi-regional endeavour with two vineyards in each province, as well as a winery and an architecturally awarded Cellar Door in Margaret River. Since its inception in 1986, Howard Park’s philosophy has centred on an uncompromising commitment to quality and a focus on crafting wines that are not only expressive of the region’s terroir, but are flavoursome, balanced, elegant and subtle. 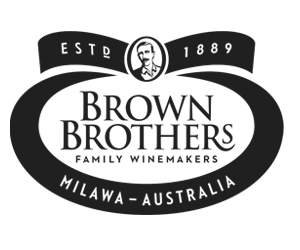 Established in 1959 by Jim and Nancy Barry, Jim Barry Wines is a family owned winery located in the Clare Valley of South Australia. 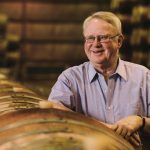 It was Jim Barry’s drive and community spirit that helped shape Clare as a benchmark region in the world of Riesling and as one of Australia’s premier wine areas. Jim Barry Wines has a drive for excellence and innovation in winemaking and viticulture. At the centre of this philosophy is a commitment to owning vineyards. 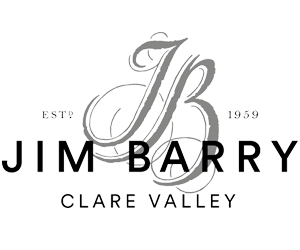 Over the last fifty years, Jim Barry Wines has worked to establish a mosaic of ten vineyards across the Clare Valley, each a unique site in aspect and soil. Current custodians, Peter & Sue Barry, are deeply proud that Jim Barry Wines is still family owned, now with second and third generation winemakers at the helm. Great wines are not made by great corporations; great wines are made by passionate people. People who dream dreams and plant vines. People who watch the skies and the soil and the fruit as it ripens. People who taste and blend… and wait. People who hang on against the odds, and pass on what they have learned from one generation to the next. People who know that wine is of the earth and the heart.’ Don McWilliam c.1965. 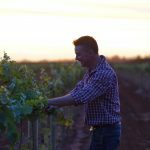 The McWilliam family have been making great wines for all occasions since their founding father, Samuel McWilliam, planted his first vines back in the 19th century. From JJ McWilliam’s ambitious plan to pioneer the Riverina as a wine making region in Australia, to the family partnering with legendary winemaker, Maurice O’Shea, who brought the wine making techniques and styles of the ‘old world’ to Mt Pleasant in the Hunter Valley. McWilliam’s has always strived to be at the forefront of Australian wine innovation. 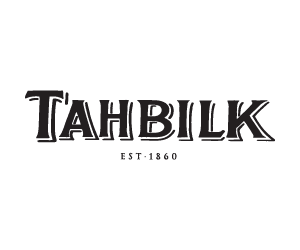 Established in 1860 Tahbilk is one of Australia’s most beautiful and historic family owned wineries. Located in the Nagambie Lakes region of Central Victoria (120kms north of Melbourne), one of the nation’s premium viticultural areas and home to around 200 hectares of vineyards. The property comprises some 1,214 hectares of rich river flats with a frontage of 11 kilometres to the Goulburn River and 8 kilometres of permanent backwaters and creeks. Tahbilk has a long history of producing fine wines with the help of ferric-oxide rich and sandy loam soils and a temperate climate. With over 150 years of winemaking experience, there are some absolute gems in the Tahbilk repertoire. Whether it be ‘1860 Vines Shiraz’, the ‘Eric Stevens Purbrick’ range or Rhone varietals including Marsanne, Viognier and Rousanne, there is a history and character in these wines that dates back for generations. For three generations the Taylor family’s unique blend of ‘old world’ estate philosophy and ‘new world’ winemaking innovation has seen them receive more than 5,800 medals at prestigious wine shows the world over, earning them the title of Australia’s Most Awarded Winery (WAWW 2016). The family’s vineyards are situated in South Australia’s beautiful Clare Valley, in the sub-region of Auburn and stretch to another sub-region border, Watervale. 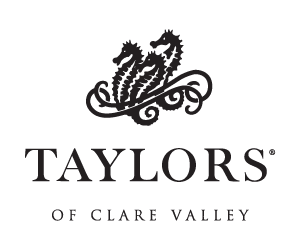 The Taylor family believe that truly great wines are made in the vineyard and that the art of fine winemaking is to respect and capture the essence of the vineyard and to highlight the unique varietal expression of each grape variety. With 500 hectares currently under vine, there are 12 different grape varieties grown in their vineyards. The Taylors philosophy rests on the principle that the finest wines are those made with the greatest dedication and care. Above all their imperative is to ‘respect the fruit’. 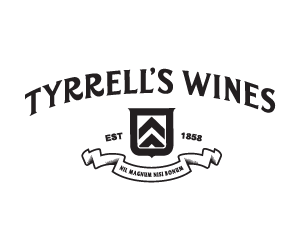 Established in 1858, Tyrrell’s is one of Australia’s pre-eminent family owned wine companies with vineyards extending from their historic home in the Hunter Valley (NSW) to Heathcote (VIC). Headed up by fourth generation family member Bruce Tyrrell, and fifth generation winemaker Chris Tyrrell, Tyrrell’s is home to some of Australia’s most lauded wine, including the iconic Vat 1 Semillon – the most awarded white wine in Australia. The company motto of ‘nothing is great unless it is good’ began with founding father Edward Tyrrell, and has been a guiding beacon for the family for 160 years. This commitment to quality has been, and will continue to be, the basis of all that Tyrrell’s do. With the fifth generation involved in the business, Tyrrell’s continues to drive family values and the simple ethos of producing high quality wines that people love to drink, made with family commitment, knowledge and passion. For more than 168 years, Yalumba’s journey has been all about vision, fortitude, survival and innovation: about looking onwards and upwards. Established in 1849 and led today by fifth-generation Chairman Robert Hill-Smith, Yalumba is dedicated to remaining under family ownership for the coming generations to inherit and nurture. 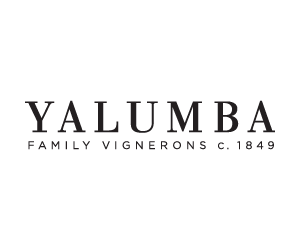 At home in the picturesque Eden Valley (70km north of Adelaide), Yalumba is one of the most influential producers of Viognier in the world and remains committed to the truly Australian wine style of the Cabernet Sauvignon and Shiraz blend. 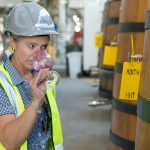 With its own on-site cooperage, Yalumba has the advantage of full control over the quality of oak used to age its collections of premium wine. It is committed to crafting wines of conviction, quality and provenance to be enjoyed now and for many years to come.